TS Erika’s Lessons – I Am Learning! – THE RESILIENT! 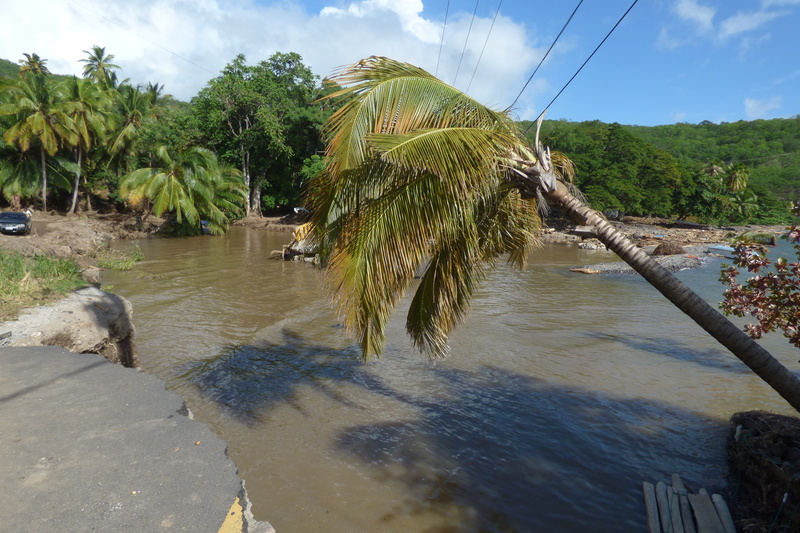 Tropical Storm Erika has certainly struck our nation beyond anything one would have fathomed prior to its arrival over Dominica. The shocking evidence of its mischief is vivid. Things will be so for a long time via the various memorabilia which will emerge, and those which have already emerged. Without decreasing the impact of the monstrosity of this weather system which has battered my homeland, I feel obligated to highlight some lessons that I am learning since Thursday 27th August, 2015. Faith in a supreme being is like gravity – it grounds the soul when trauma strikes. – Keep faith! These lessons I hope to remember as days go by. Meanwhile, efforts to continue the contribution being made toward Dominica’s reconstruction will persist as best as possible. What have you learned from Erica? What are you learning? Feel free to share with me.